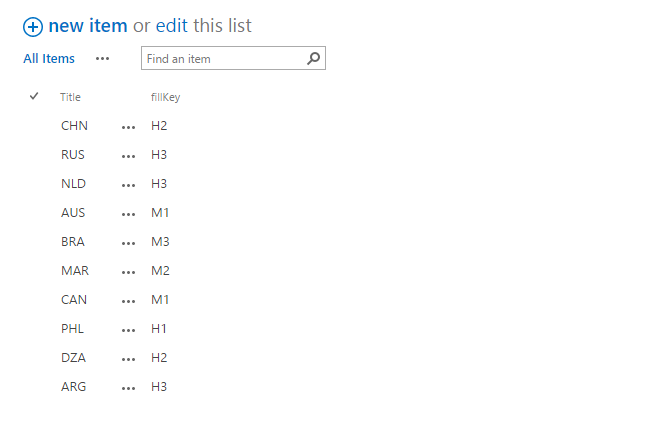 I really like the way you can use SharePoint’s Client Side Rendering to alter the way list data is viewed. 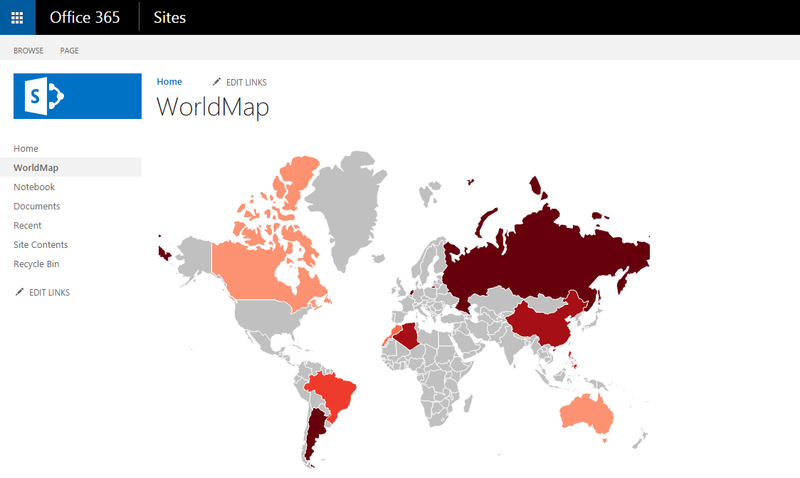 Earlier posts featured a notice board and jQuery DataTables, but this time I’d like to present my SharePoint list data in yet another non-standard way: as a World Map. d3.min.js: a library for manipulating documents based on data using HTML, SVG, and CSS. topojson.min.js: support library for representing geometries using JSON. datamaps.world.min.js: DataMaps Worldmap in JSON. 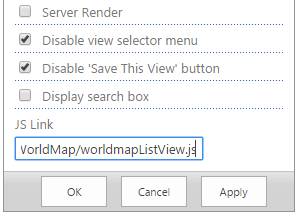 worldmapListView.js : the actual JSLink file which we will create in the next step. itemCtx.Templates.Header = "<div id='worldMapListView' style='position: relative; width: 690px; height: 480px;' >"
The setup of the solution is easy since you just need to copy the files to a shared location (for instance the Style Library, Asset Library or Master Page gallery. The key is to have the support files loaded on the page you enable this view on. As mentioned earlier, there are multiple ways to achieve this, but personally I like to use Custom Actions for this and I included some example PowerShell in the download file. Once saved and published, the page should show the world map in all its glory. Furthermore, DataMaps has tons of options for you to play with, so you might want to try a couple of configurations yourself. great post. new at this and would like to apply this to my sharepoint site. What would be the name of the Custom List to create those two columns. Where in the JS files do I let the script know to get the data from the SharePoint list? So basically I am placing the Content Editor webpart on the View Page of the list, or do I point the default Web Part for the list on the view page to the JSfile? I appreciate this post but a replay to this last comment would be helpful. Yes, the default listview should be all you need. Just edit the JS Link property and point this to the custom JS file.